Apple's increased efforts in the world's second most populous country appear to be paying off, as a new report has the iPhone maker grabbing second place in smartphones behind Samsung in India. CNN reported Wednesday on new figures out from technology market research firm IDC showing that Apple in the fourth quarter of 2012 grabbed 15.6 percent of smartphone revenue in India. Apple rival Samsung remained the top brand in the market, with 38.8 percent market share. Sony (9.4 percent) and Nokia (7.3 percent) rounded out the top four. The research firm estimated in its Asia Pacific Quarterly Mobile Phone Tracker report that smartphone shipments in India were at about five million units for the quarter, up 38 percent from the quarter previous. Smartphone penetration rates in India are estimated to be lower than 10 percent. IDC's estimates jibe with prior reports from the firm that Apple's sales in the country had quadrupled. The sales boom is due to increased efforts on Apple's part to make its premium-priced smartphone offerings available to Indian consumers. 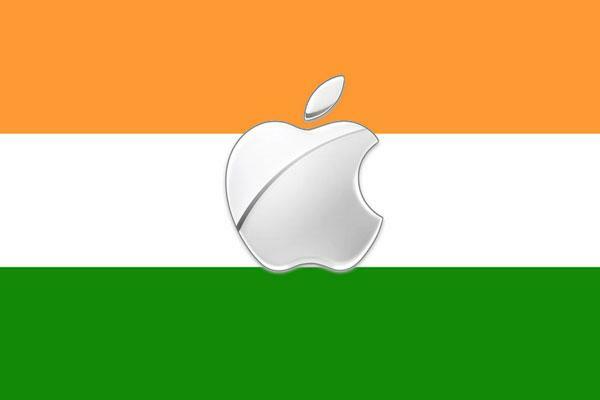 Using lessons learned in China, Apple has begun offering installment-based payments for Indian customers. An iPhone in India used to cost nearly a third more than in the United States, with delivery times ranging up to a year. Installment plans make the device more affordable, and Apple has also been selling iPhones on the open market and not through carriers subsidizing the cost of the device with high-margin service contracts. Growth in the Indian market can likely only go so far, though, with Apple's current pricing structure. To better address India, China, and other developing markets, the company is expected to release a lower-cost iPhone some time over the next several months.